The Village of Downers Grove is working to prevent efforts that would take local tax dollars to solve the state's budget issues. At risk is the Village's portion of the Local Government Distributive Fund (LGDF) derived from income taxes paid by all state residents. How can YOU help? Voice your support and help safeguard local tax dollars. Send a letter to state legislators and the Governor today. 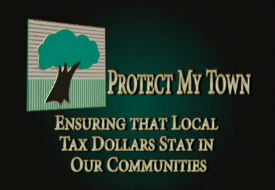 Use the www.ProtectMyTown.com website to let our legislators know you want them to protect LGDF revenue for local needs. Watch the Protect My Town Video for complete details on the impact of reduced LGDF funding to Downers Grove.